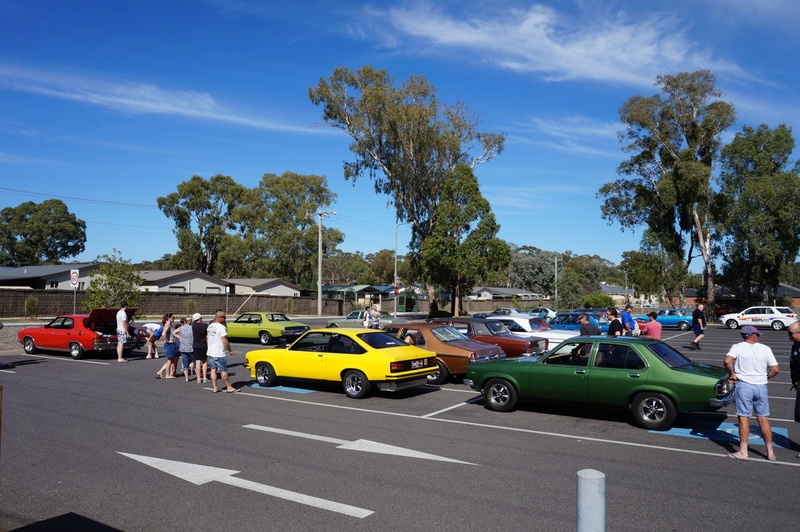 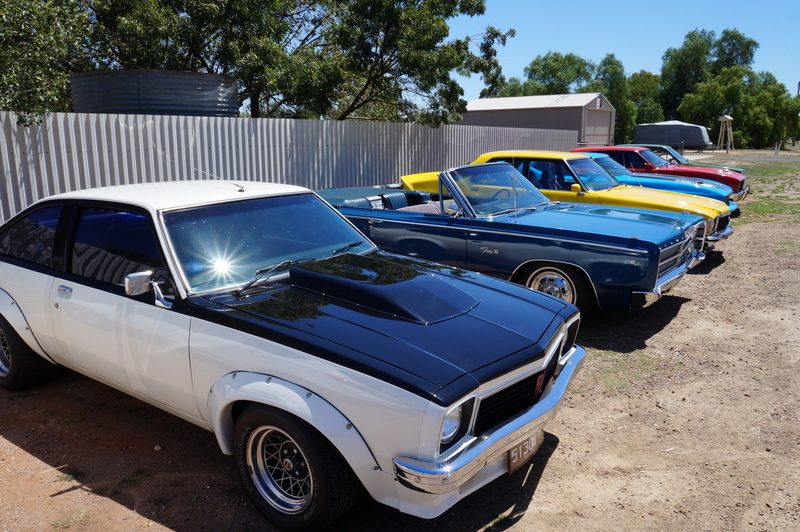 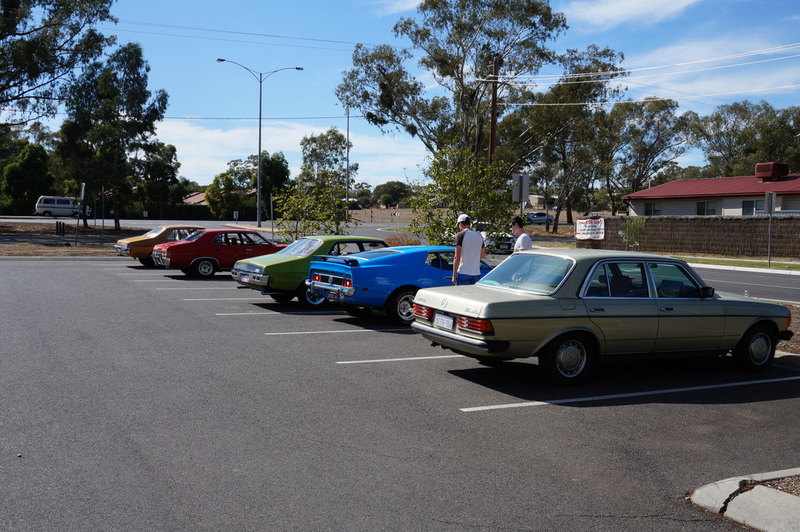 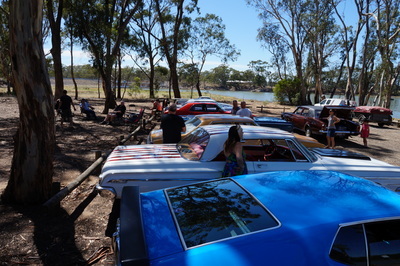 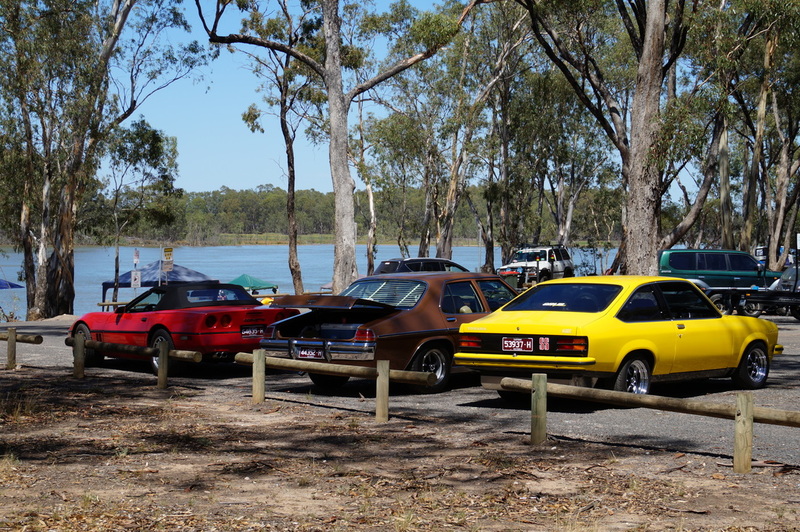 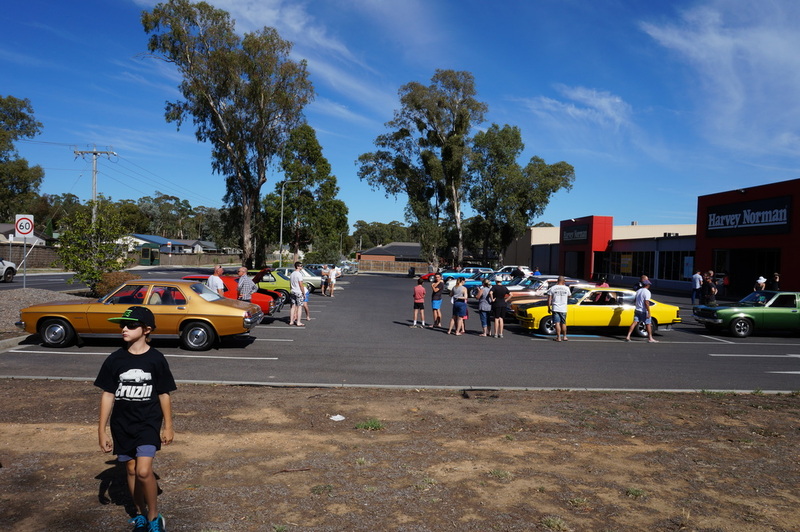 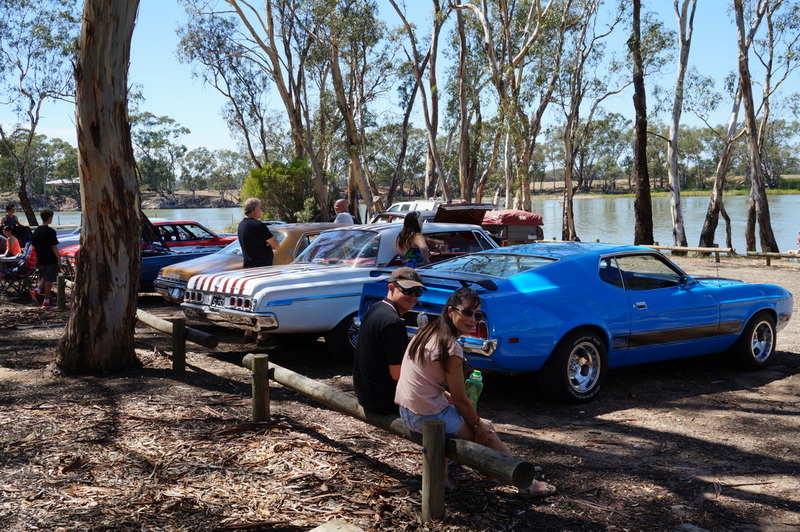 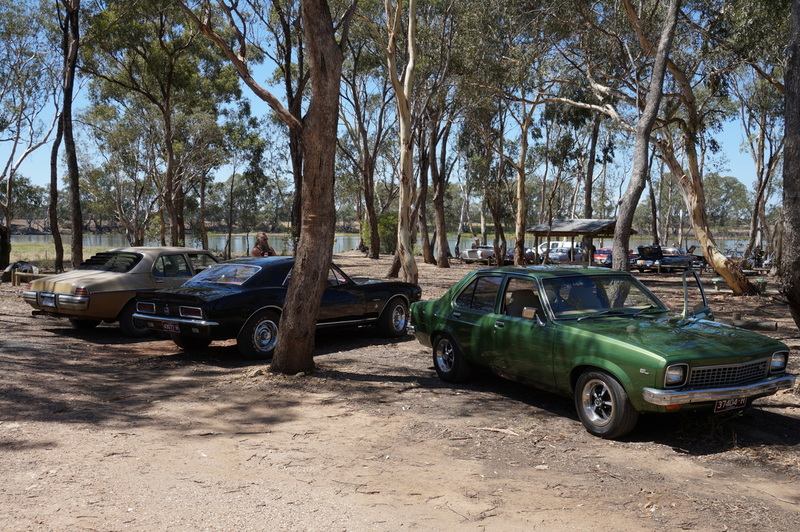 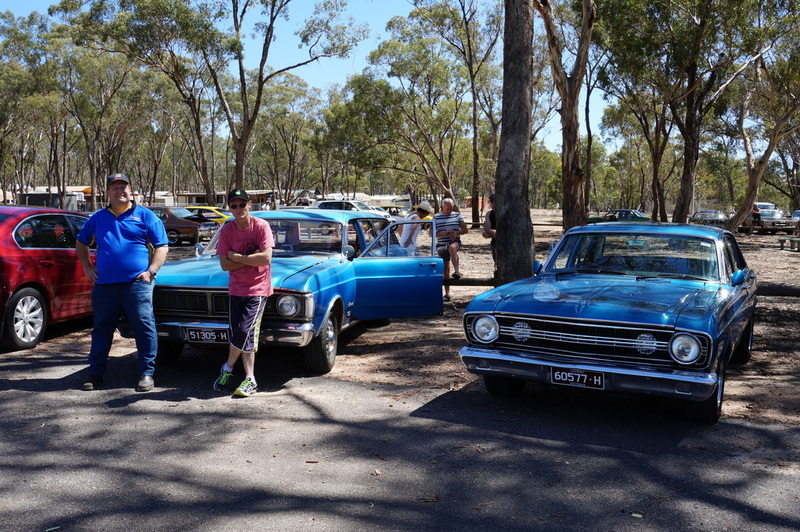 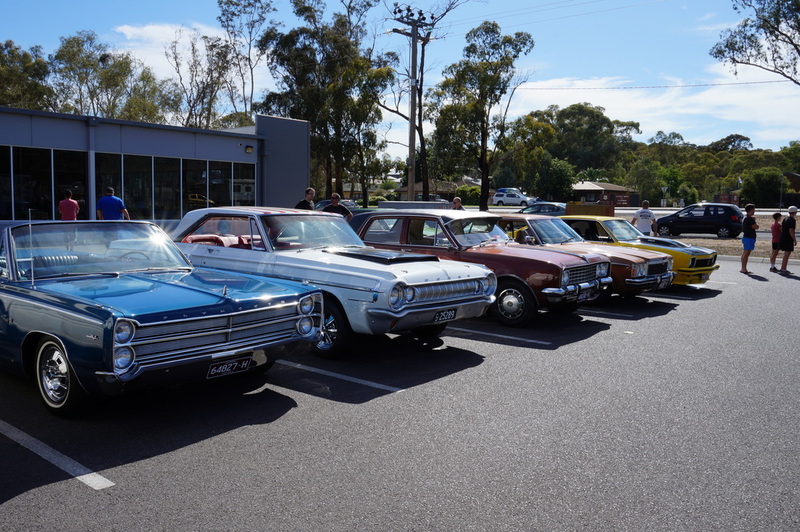 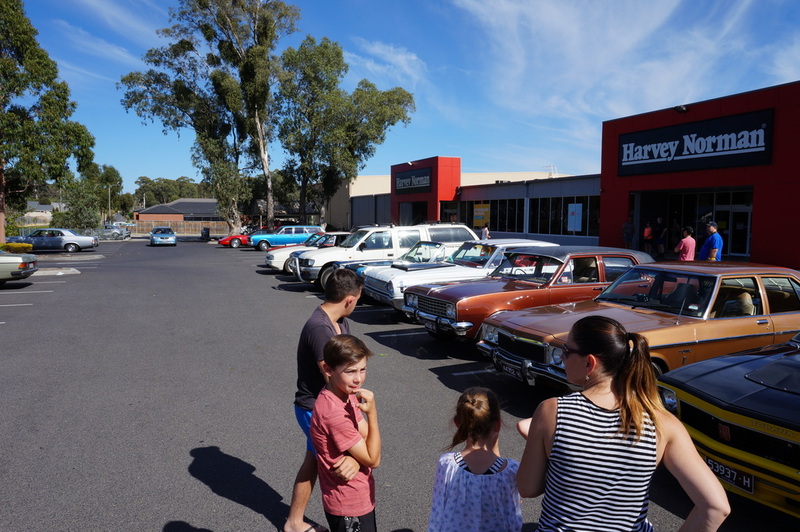 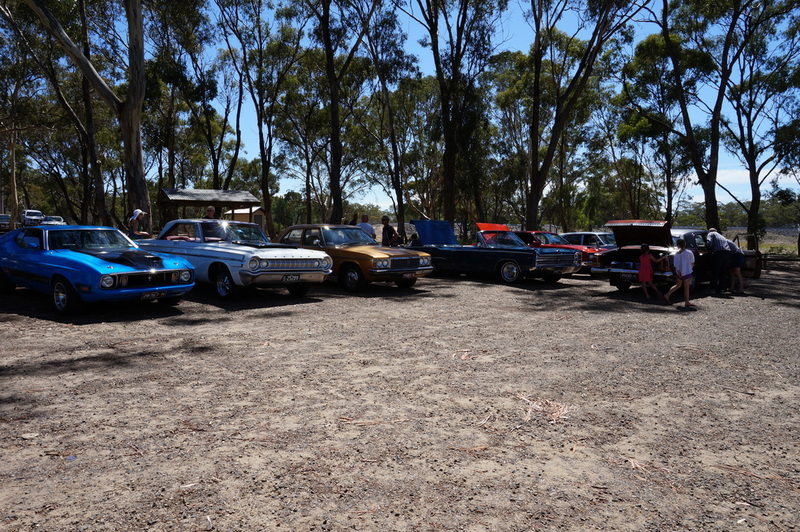 The first official Custom Addictions Club Cruise of 2016 has been run and enjoyed. 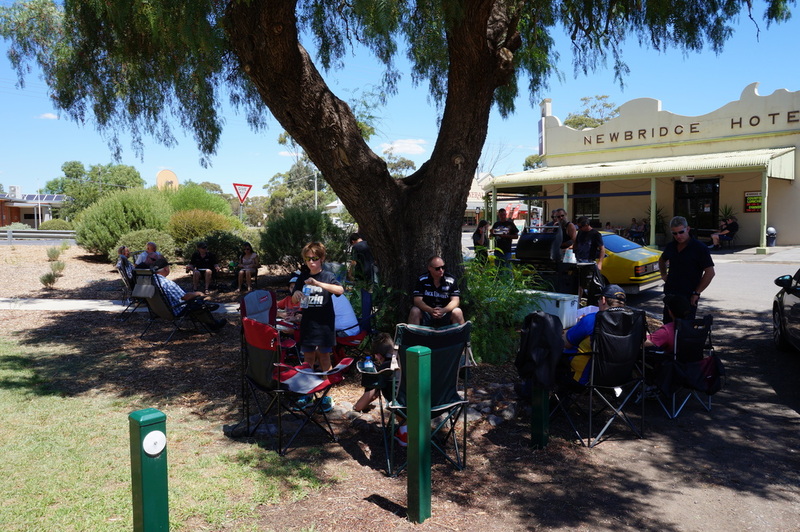 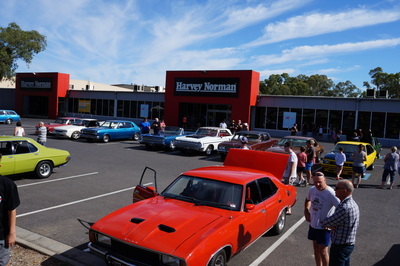 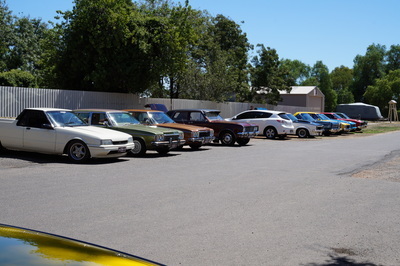 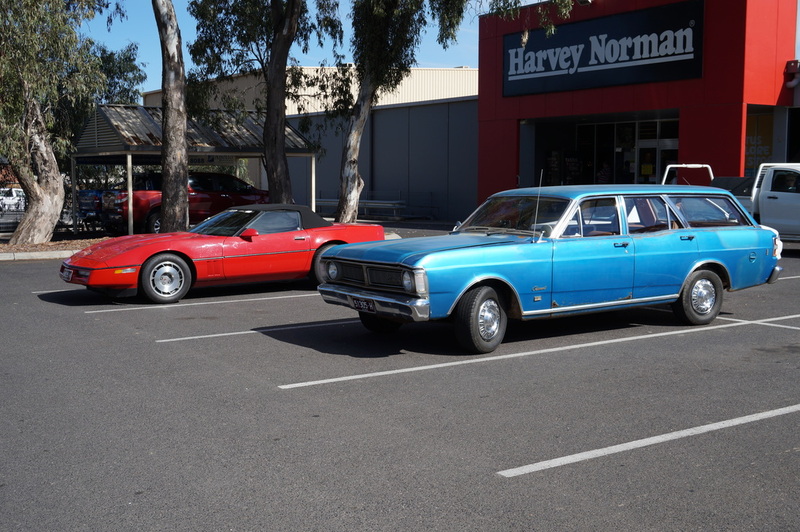 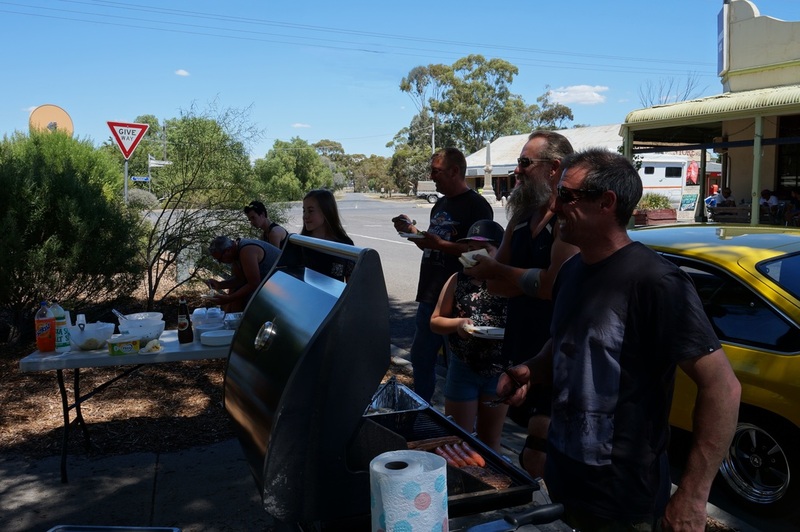 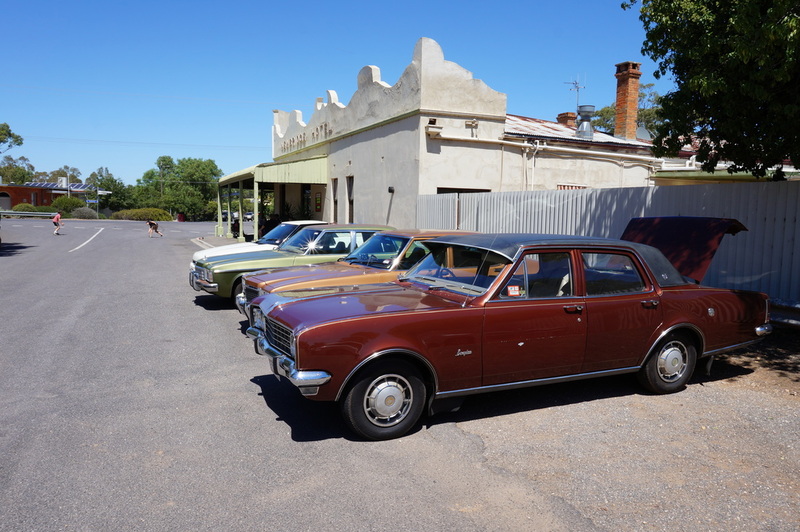 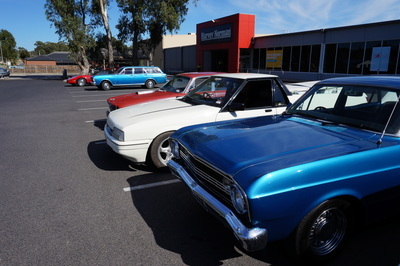 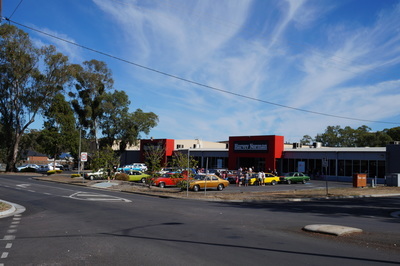 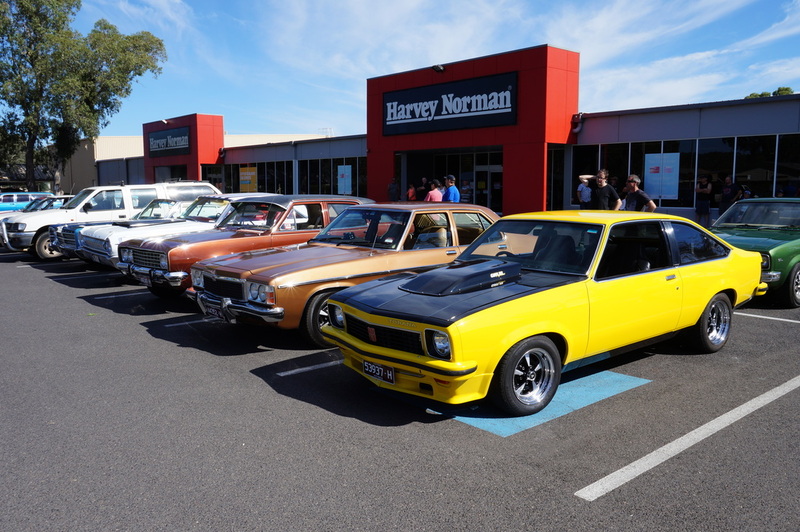 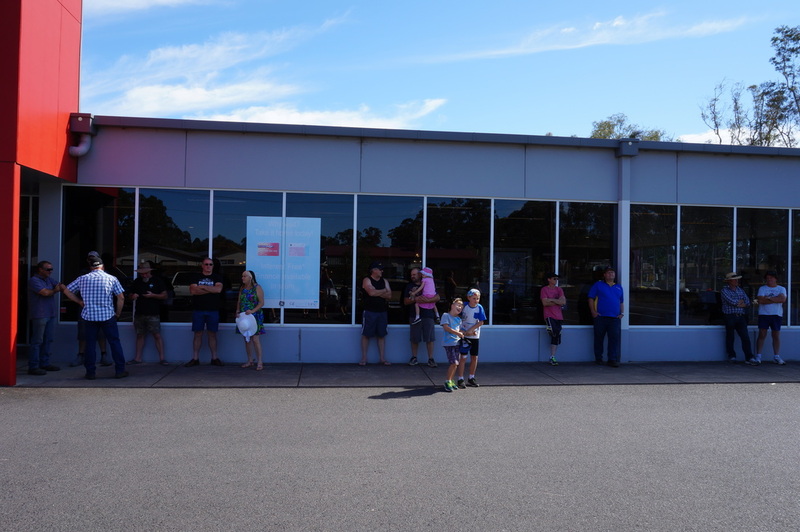 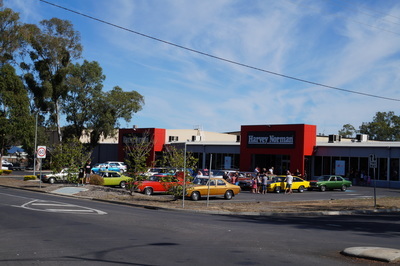 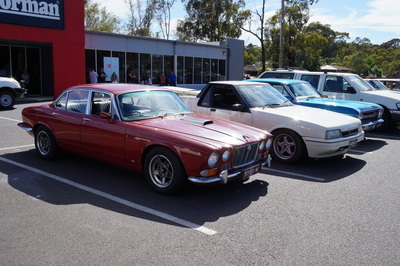 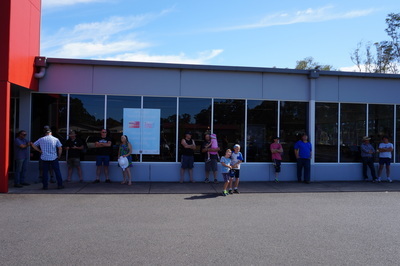 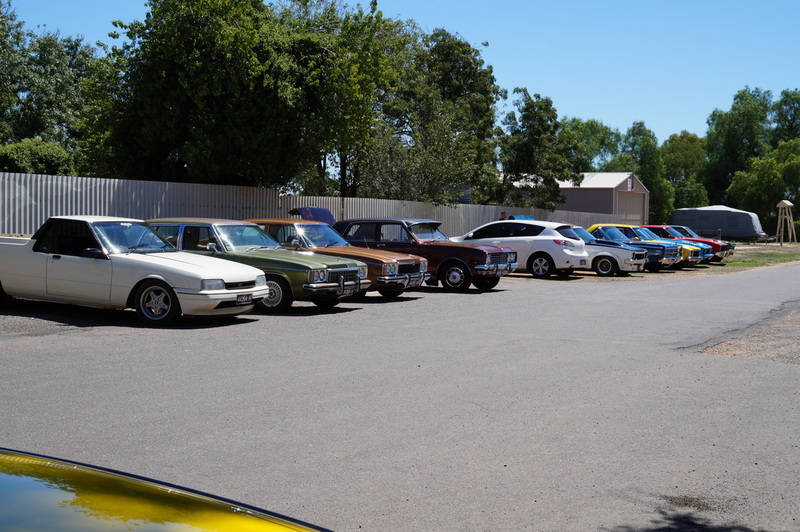 Several members met at our Clubrooms at 9.30 and cruised through Bendigo out to Harvey Norman to meet up with the others. About 20 classics left Harvey at around 10.30 and headed out past Crusoe reservoir, on to Happy Jack, then into Maldon. 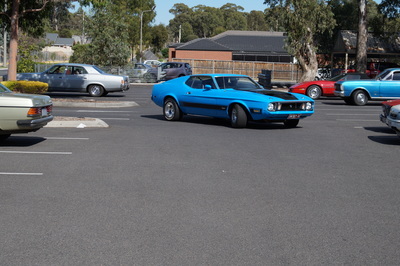 We all followed Hoota – who knew where he was going – out through the back-blocks of Nuggetty, Baringhup and Eddington. 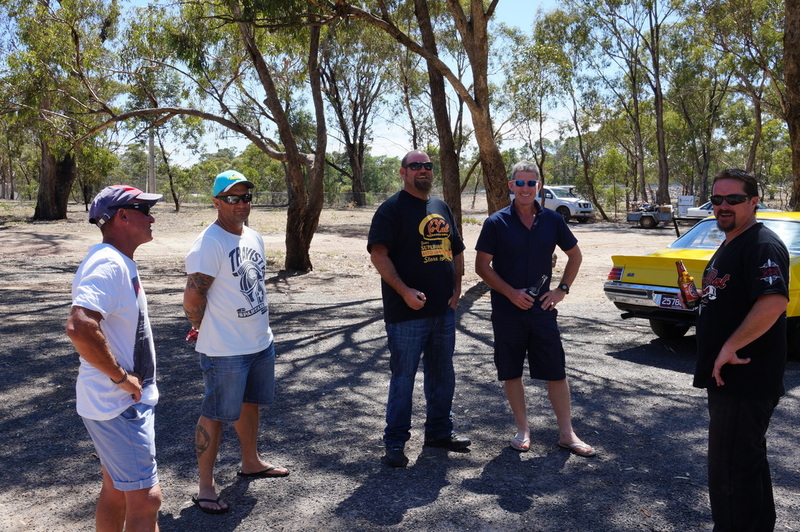 Hoota or Jake must have needed a beer out of the esky in the back of the XF ute or maybe Hoota’s foot slipped on the accelerator as the speed continued to rise. Apart from some idiot approaching us on a single bitumen lane road a fair bit quicker than they should have, we all arrived safely and intact – although perhaps a little dusty. 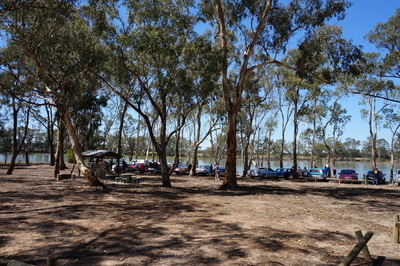 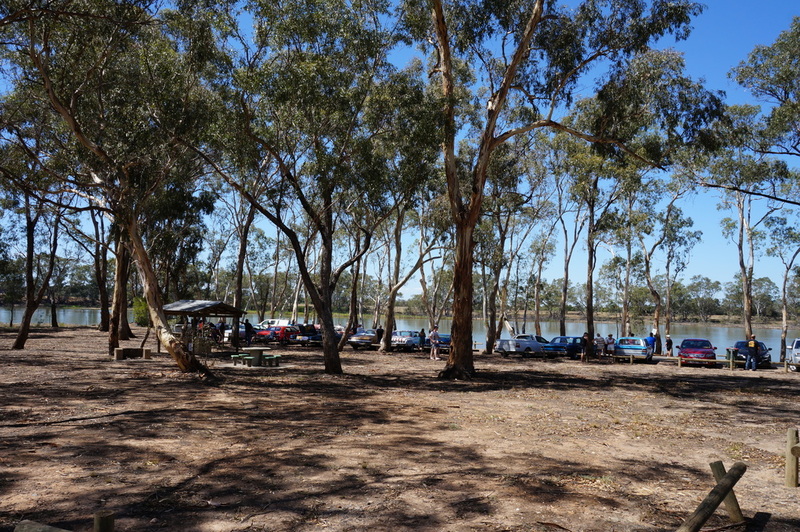 The lake looked very inviting - plenty of car parking in the shade, quite a lot of water, sandy bank - perfect for a BBQ. As long as there was a working BBQ that you could use. 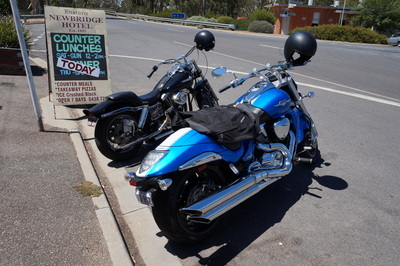 Unfortunately, both of them were "out of order". 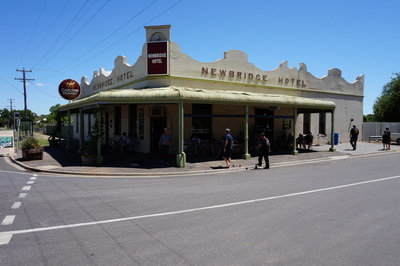 Excellent - raw meat. 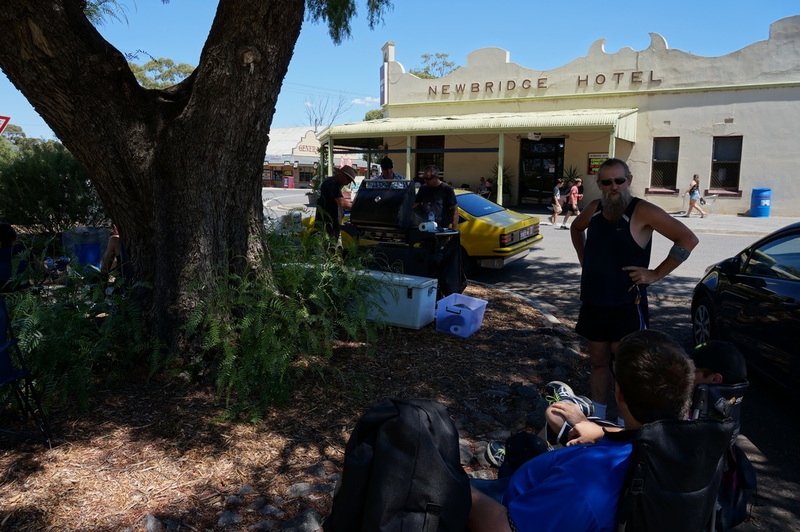 Plan B was swung into action, and that resulted in us all moving on to Newbridge, as someone knew the hotel Publican and he was willing to lend us his BBQ. 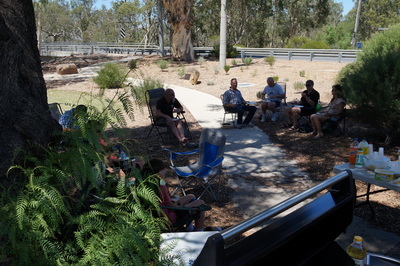 ​While Kim cooked the BBQ, we all sat around and watched. And what a great job he did. 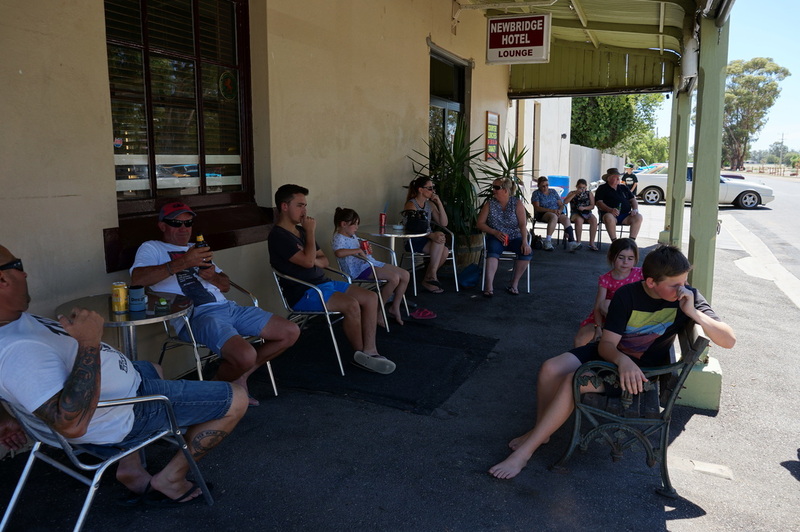 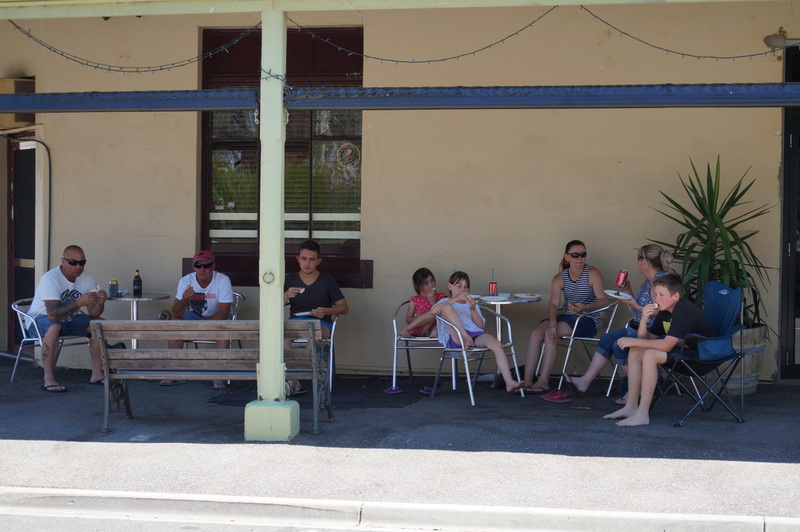 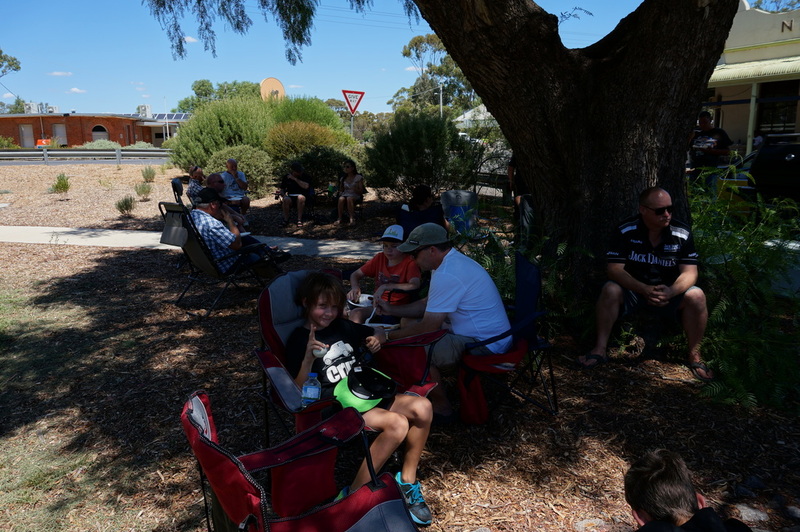 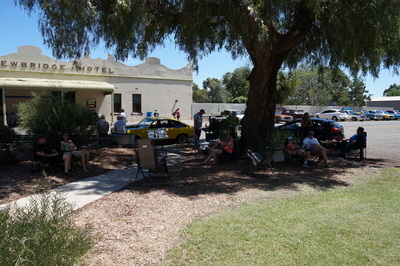 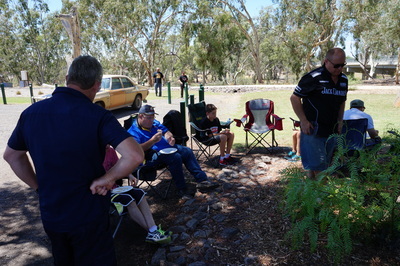 The rest of the afternoon was spent under the shade of a very old peppercorn tree, before packing up and heading back in to Bendigo. 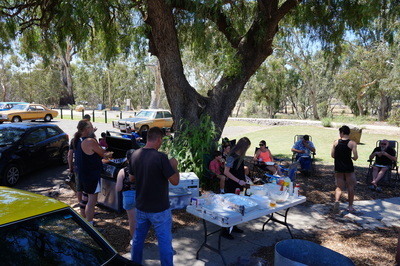 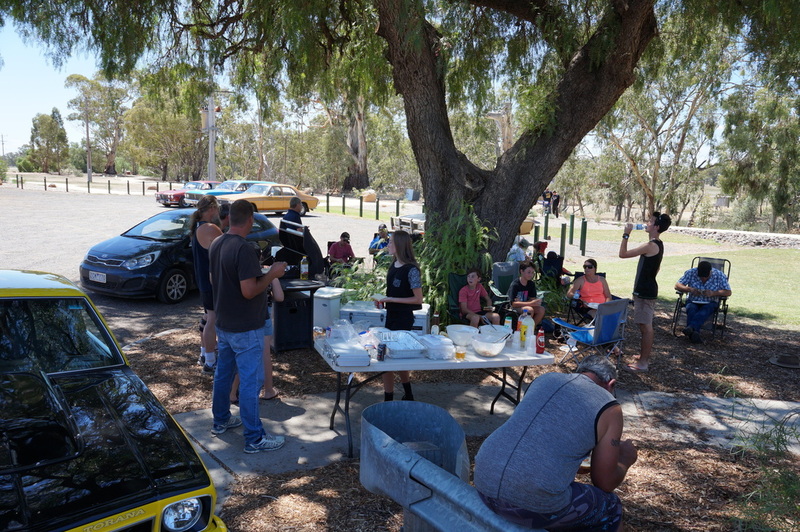 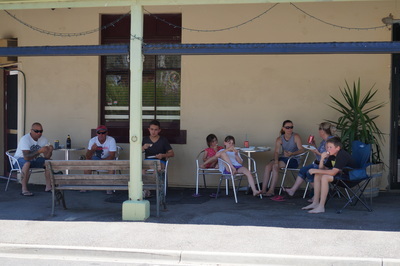 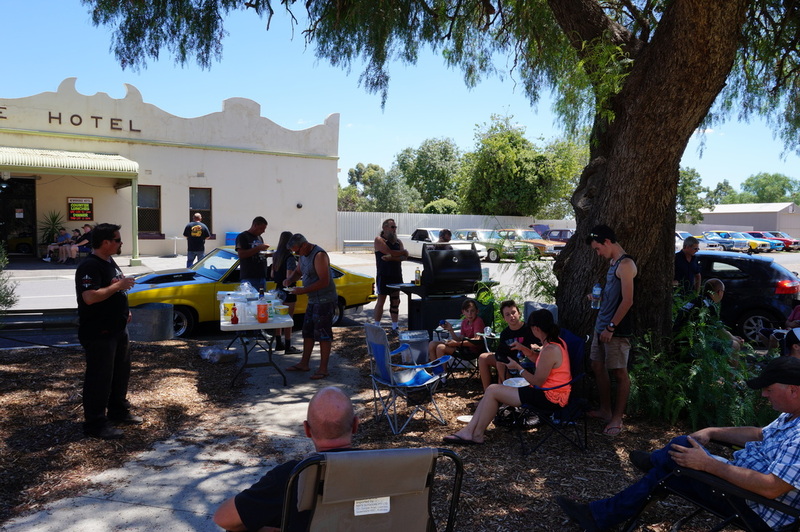 To the members that were able to come along, thanks for making the effort on a very hot day, I reckon it was worth it. 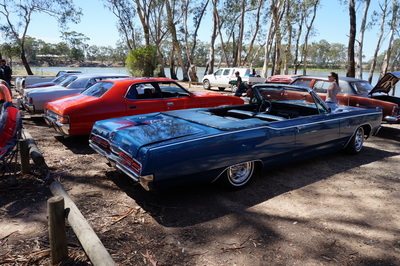 ​You know, one of the awesome things I’ve discovered about driving a convertible is not only do you get to listen to the beautiful sound of your own big block, but you can also clearly hear the induction noises coming from Mal’s 440ci Dodge "animal" Polara sitting right behind you. 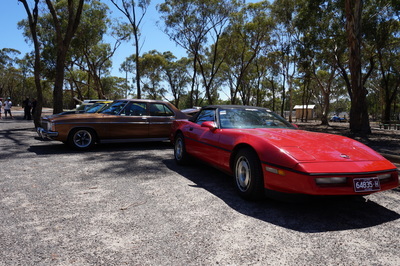 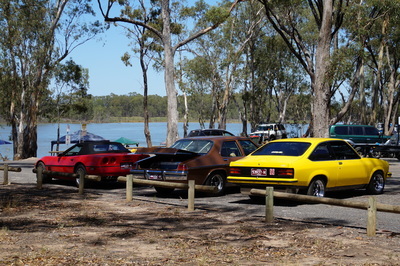 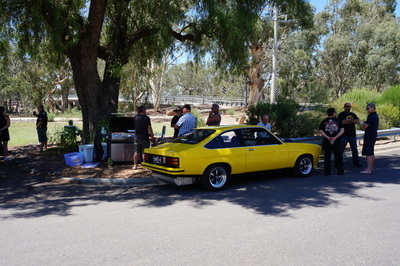 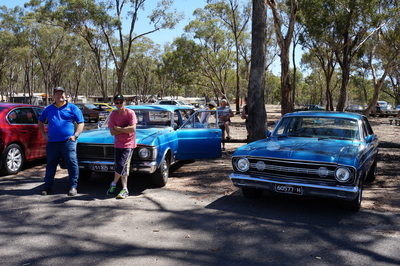 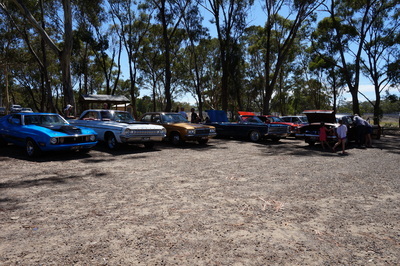 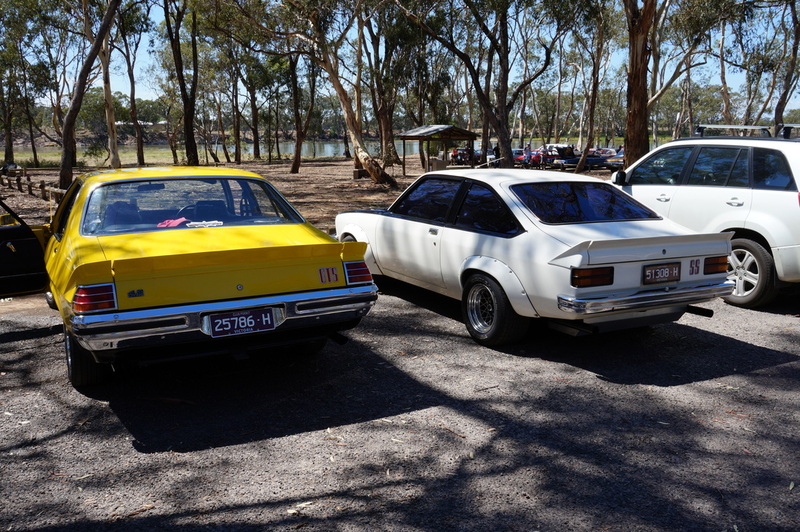 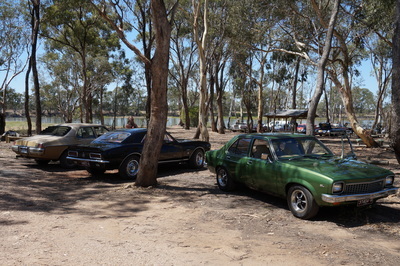 And also, if you’re lucky enough to have Shane (with an itchy foot) behind you in his Torana SS hatch as you approach a long straight – maybe coming home from Newbridge - then the sound of a highly worked V8 at high revs as he sticks the boot in and goes past at full noise is very nice indeed! 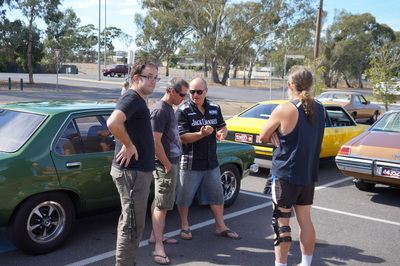 Thanks Mal and Shane for the aural symphony. Lookin' forward to the next one!